Wild Iris bloom along the drainage just below the Flatirons of Boulder, Colorado. 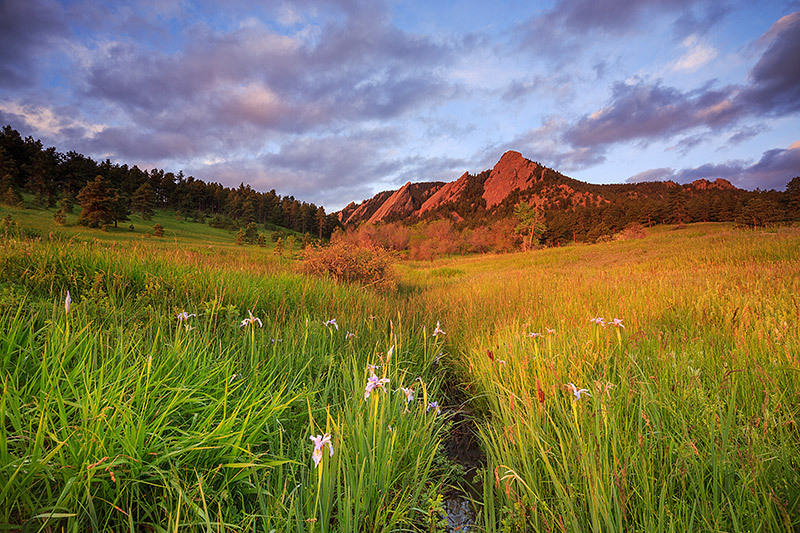 It's another beautiful sunrise from Chautauqua Park and the presence of this beautiful purple wildflowers lining the wet areas of Chautauqua Meadow make for a postcard perfect scene. Photo © copyright by Thomas Mangan.